I didn’t have a toy to chase or carry around with me so instead I got a STICK. 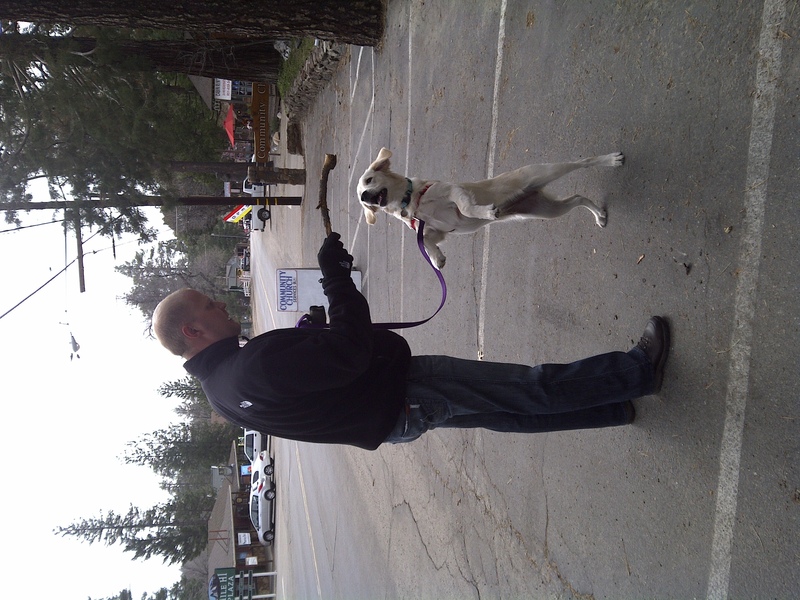 I went to Idyllwild again this weekend and ran around the town a little bit. Everyone was really nice to me and the weather wasn’t too bad. I was REALLY good in the car this time. We didn’t have room for my crate so I sat on the back seat and didn’t even get sick on the road like I have in the past. I’m learning more and more every day, however sometimes I get too excited on the leash and I run really fast. I am working on it however.